To understand the different types of workplace violence, we must first be aware of what causes it. 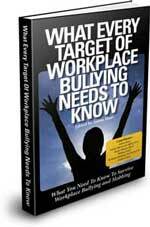 What actually causes violence in the workplace can take many forms. Hello I'm Yancey and in my 30 plus years in the workplace I have witnessed and experienced some of the following accepted reasons for workplace violence. Career seekers and employees should be aware of the fact that an employers business culture may actually create an environment that breeds job violence and puts everyone at risk. When companies have an attitude of harassment and intimidation instead of co-operation towards their workplace, negative consequences usually follow. I have been a part of organizations that have condoned and allowed blatant workplace bullying, workplace discrimination, sexual harassment and more. It always amazes me when employers that operate this way wonder what happened when finding themselves in legal hot water or worse yet episodes of violence. Some employers to cover their own ill-trained managers seek to use "problem employees" as the reason for different types of workplace violence. It is true some angry workers act out their frustrations in the workplace, however this has in many cases become an acceptable norm. One of the most amazing trends in the types of workplace violence in recent years is violence against employees by customers or clients. The Office of Safety and Health Statistics at the U.S. Bureau of Labor Statistics reveal this to be a surprising level of violence by this "new" type of workplace crime. Employees who are first contact with customers or clients including front desk jobs are becoming the most at risk of being victims of violence. One theory is that these employees are alone in dealing with individuals that come into the business. Most researchers and experts agree that violence in the workplace will occur in four different types. The following chart gives a brief description of each violence type. The perpetrator has no legitimate relationship with the employer or the workplace. Crimes such as robbery and burglary occur along with violence against the employees. This is the main type of workplace violence. Most murders in the workplace happen with this type. In this type the victimizer is receiving some product or service from the employer and is not an employee. This individual becomes violent because of some dissatisfaction with the product or service provided. This type can be clients, customers, medical patients or students. This person has a relationship with the business or an employee. These perpetrators of violence or threats of violence are existing or former employees or independent contractors. Less than 10% of workplace murders are committed by this type. This person has a relationship with an employee but not the workplace. This individual wreaks havoc on a job site to physically harm or threaten to harm an abused domestic partner, spouse or other employees. Every State is subject to the (OSHA) Occupational Safety and Health Act. That means employers have what's called a "general duty" to protect every person in the workplace from any "recognized hazards" that may cause serious injury or death. 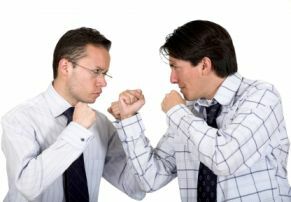 Violence in the workplace has been designated as a "hazard" meaning companies and organizations are held liable that fail to protect against violence. As an employee I expect my employer to do all it legally can to protect me and others from the different types of workplace violence from inside and outside. However, I'm not going to assume my boss has taken all the steps necessary to ensure my safety. Continuing to learn all I can about my basic employee rights also includes understanding the various types of workplace violence and how to best prevent becoming a victim. My new sites provide the MOST current changes in the types of workplace violence affecting career seekers and employees. Some employers are constantly working to take away the rights of employees. Follow this link to EMPLOYEE RIGHTS GUIDE, EMPLOYEE WORKPLACE RIGHTS and EMPLOYEE RIGHTS QUESTIONS for the latest employee news you can use!